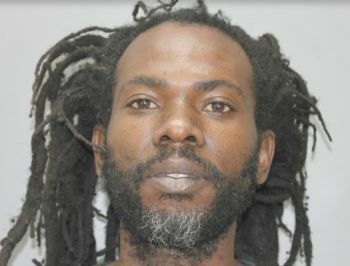 CHARLOTTE AMALIE, St Thomas, USVI — A man who pleaded guilty to arson was remanded to the Bureau of Corrections on Tuesday March 1, 2017 to begin serving his six-month prison term, [US] Virgin Islands Department of Justice Public Media Officer Corliss Smithen has announced. VI Superior Court Judge Denise Francois sentenced James Nibbs, 40, to a three-year prison term with all but six months suspended and two and a half years of supervised probation. Judge Francois also ordered Nibbs to pay $4,636 in restitution to the victim within nine months of his release from incarceration, as well as probation fees and court costs. On January 25, 2017 a jury was seated for Nibbs’ trial and the prosecution had already presented its case in chief when Nibbs accepted a plea deal proffered by Attorney General Claude Earl Walker and pleaded guilty to the single count he faced – second-degree arson – in connection with a December 28, 2015 incident. This was Nibbs’ second trial. His first trial, which lasted August 11 to 12, 2016, was declared a mistrial after the jury was deadlocked and could not reach a verdict. Judge Francois accepted the guilty plea and set February 28, 2017 as the date for Nibbs’ sentencing. Police arrested Nibbs on January 21, 2016, after a woman reported that someone burned her vehicle. According to an affidavit filed by police detective, Alex Dorsett, the victim told police that on October 10, 2015, Nibbs left a message on her mobile phone that he wanted his money or else he would come and burn her vehicle. Then, on December 8, 2015 at about 12:30 AM, Nibbs went to the Mariel C. Newton Command and reported to a police officer that he just burned a vehicle in the Frydenhoj area. On that same day at about 6:30 AM, the victim called 911 and reported that someone burnt her vehicle. During Nibbs’ arrest on January 21, Dorsett played the voicemail recording that was left on the victim’s cellular phone and Nibbs said, “I didn’t mean the message; I was just upset at the time,” Dorsett wrote in his affidavit. Honestly speaking, he is really not that ugly, its his hair all around, including facial hair that is a hot mess! But anyway, like I always say, these locks seem to have an adverse effect on people. They are always in some derogatory story. Like their hair turns them into savage beasts. St Thomas has to be losing money from tourists like myself. I'm questioning my vacation bc all I read is shootings. What a shame! I'm afraid to bring my wife and daughter! Wonder how he'd feel if someone burned up his possesions?